Hoppers provide great sport when trout are feeding near the surface. 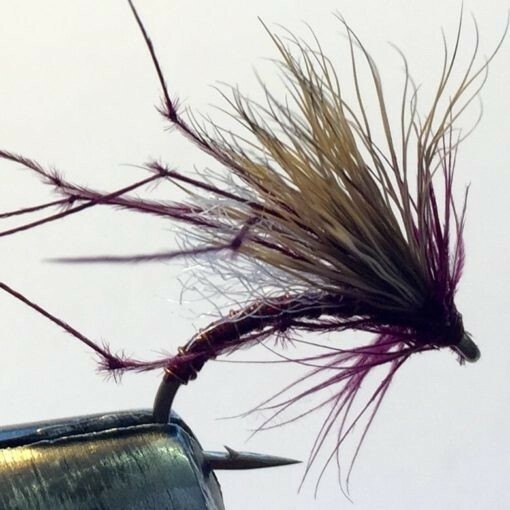 This pattern uses a striking wine coloured tinsel for the body which has proved irresistible to trout. The ideal pattern when you want a fly to sit right in the surface and still be visable.